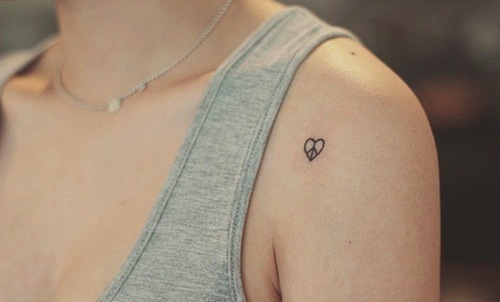 In the case of the minimalist tattoo, the statement often said, that less is more, is absolutely true! 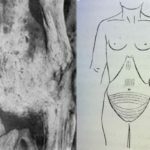 By not overdoing the tattoo design in complexity, color, or verbiage, it takes the viewer straight to the point, whether you care if they understand, or even like the tattoo, at all. 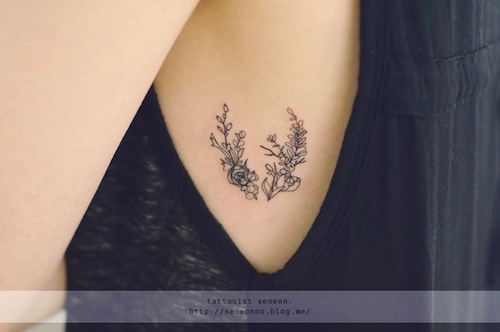 Lines, shapes, subtle color, or no color at all, one worded in simple, typewriter style font, or small botanical sketch like tattoos. 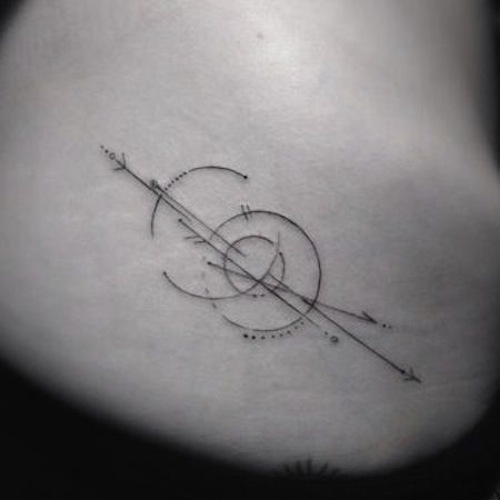 Whatever your particular style or motive for your minimalist tattoo, we are sure that you, the minimalist tattoo fan, have a special meaning and unique idea for your tattoo design. After all, by keeping it simple, and not saying too much, you are straight to the point, and say it all. 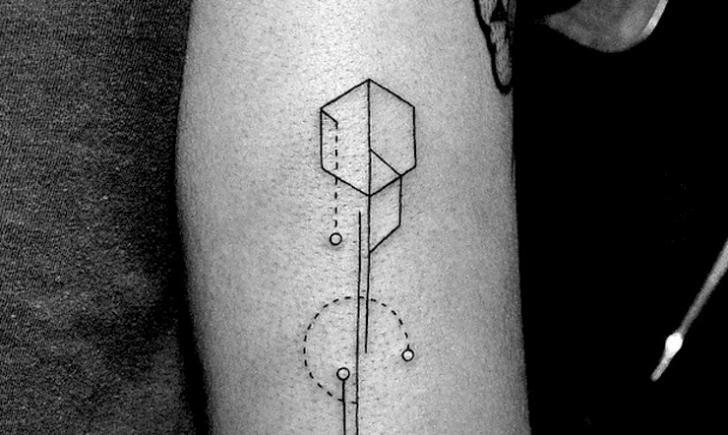 Nothing like delicate lines in shapes and geometric sketch like designs to start a list of best minimalist tattoo ideas! 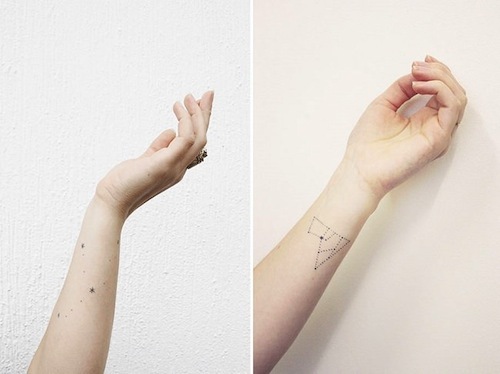 A constellation, no matter how big or small, makes for a perfect minimalist tattoo. These tiny sprouts look as though the wearer fell asleep in a field and just got up with some small foliage stuck on his skin. So cute! 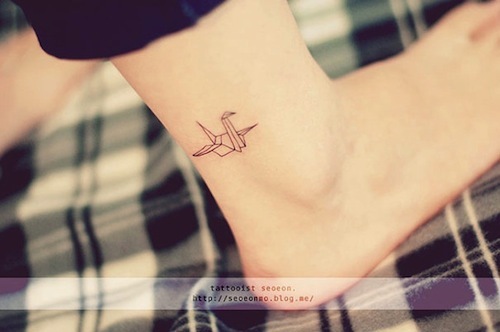 This tiny paper crane is such a delicate, beautiful, example of subtle minimalistic tattoo. 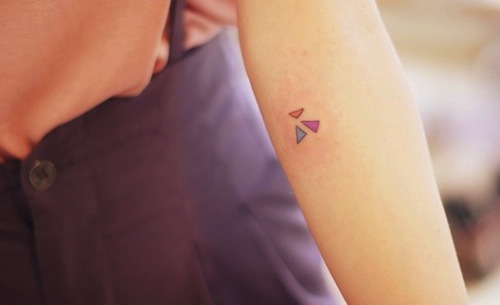 Whatever these 3 cute and colorful triangles mean to the wearer, we are sure it is significant in its simplicity. Shapes, shapes, shapes! 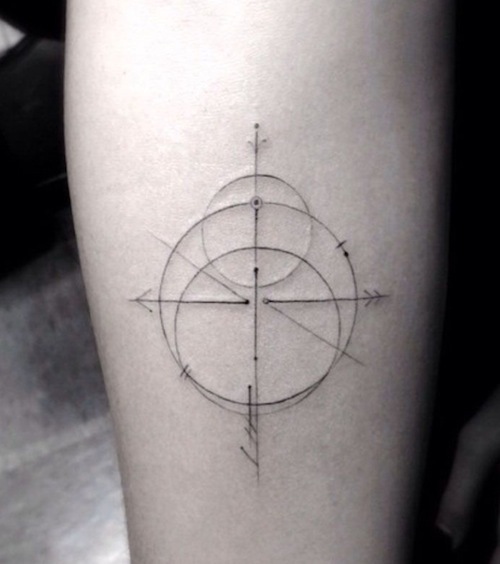 And lines! Minimalism at its most basic, and possibly its finest. 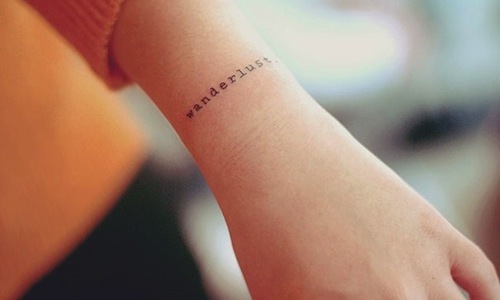 Simply put, the word “wanderlust” says so much without saying much at all. A heart shaped peace sign that’s the size of a pea? So cute and still powerful. 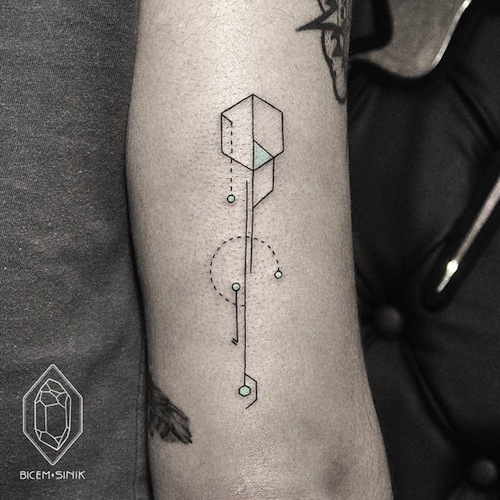 Here are more geometric line designs, with the tiniest hint of color, carefully and thoughtfully placed. 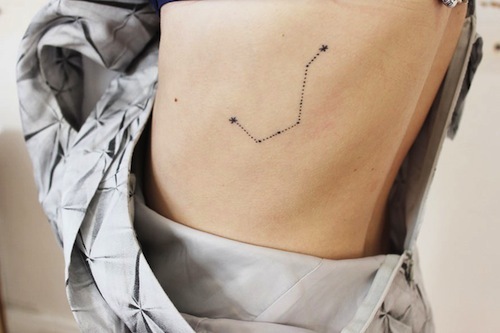 Here are more constellations. See how beautiful they are? These just do not get old. There is something magical about them. More botanical beauties in hidden spots. Here, you get two in one. 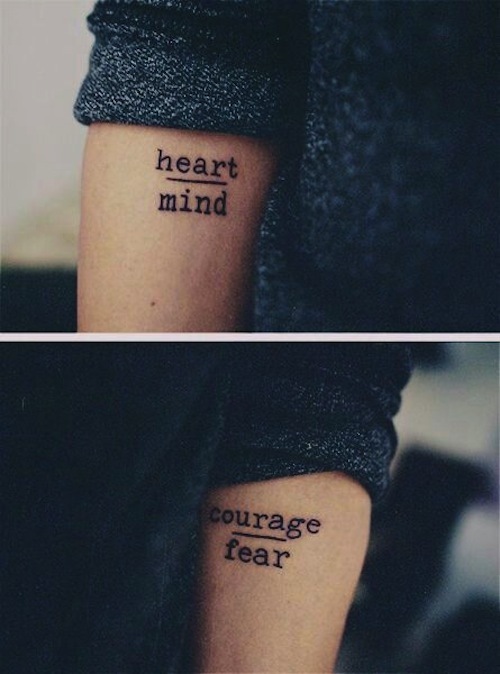 On one elbow, it symbolizes heart over mind, and on the other elbow, it symbolizes courage over fear. 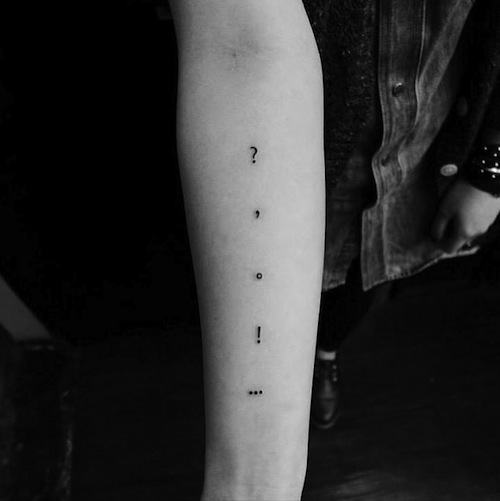 Simple punctuation marks mean so much yet nothing at all. A keyhole on the through coupled with a skeleton key on the finger. What is your interpretation?